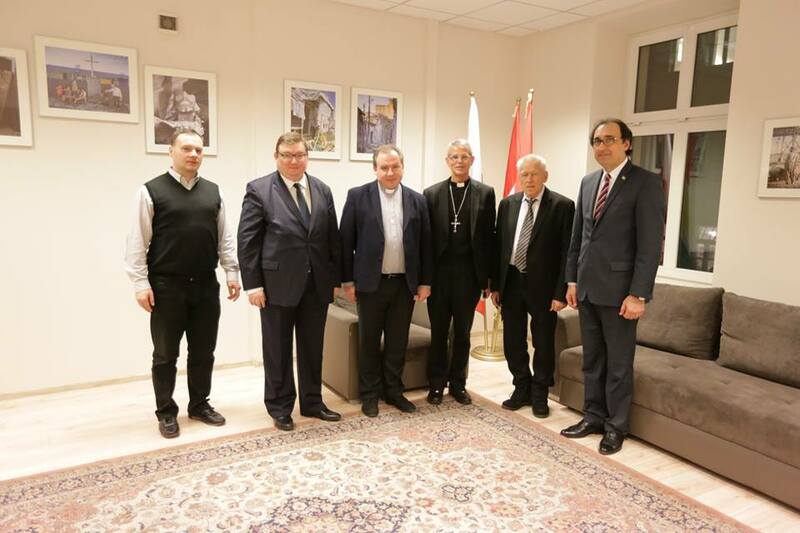 Ziyad Raoof KRG Representative in Poland and Bishop Rabban al-Qas had a series of meetings with Polish politicans and ministers aimed to inform them about difficult situation of refugees in Kurdistan and also to discuss the fate of Christians in the Middle-East. Series of meetings has begun with a visit in Polish parliament. 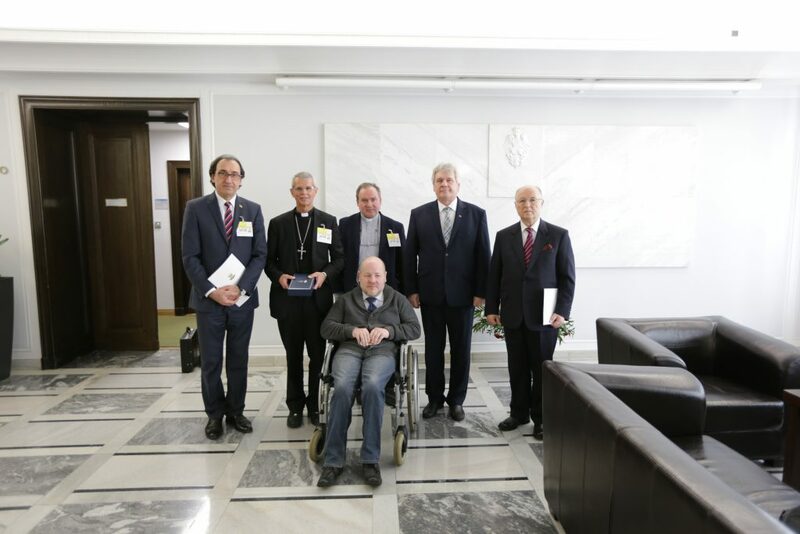 Ziyad Raoof and Bishop Rabban were invited by Parliamentary Group for Defending Christians represented by: senator Robert Mamatow (Chairman of the Group), senator Michal Sewerynski, senator Jan Filip Libicki. Bishop Rabban described situation in Kurdistan focusing on situation of refugees and Christians. He appealed for support to give hope to those in needs, reassure them about solidarity of Europe and convince them to not leave Middle East and preserve there ethno-religious mosaic. Bishop invited Polish politicians to visit Kurdistan. The Senators listened attentively to the speeches of Bishop Rabban and Ziyad Raoof. They argued that Poland wants to increase aid, and that the fate of refugees and Christians is deeply at heart of Polish People. Next was the meeting with Beata Kempa- minister for humanitarian aid. A specially created ministerial position in the Polish government is an expression of Poland’s growing involvement in these matters. The Minister mentioned constantly growing amounts allocated by Poland for assistance. Beata Kempa talked also about organizations and institutions through which aid projects are implemented. During the meeting Ziyad Raoof cited statistics about difficult humanitarian situation Kurdistan. Minister asked KRG Representation to be in touch with the ministry and send updated statistics from Kurdistan and inform about the most urgent needs. Bishop Rabban presented specifics proposals of projects that can be performed with Polish support. He proposed organizing medical point for children and older persons another proposal was scholarship program for talented children-refugees from Kurdistan. Minister Beata Kempa very positively evaluated those project. He asked for more information and plans of building which can be medical point. She also revealed that the ministry is in advanced talks with one of the universities in Warsaw, which would accept talented students from the Middle East, including Kurdistan. In the afternoon Ziyad Raoof and Bishop Rabban met in headquarters of KRG Representation with Kornel Morawiecki- MP and Senior Marshal of Polish parliament. The visit took place in very nice atmosphere. Kornel Morawiecki saw photo-exhibition “suffering and hope” and also recollected his last visit in Kurdistan in September 2017 when he was international observer of independence referendum. Kornel Morawiecki listened carefully to the account of the bishop and KRG representative on the difficult situation of refugees and Christians. Just like the senators and minister Beata Kempa, he announced intensified efforts to help those in need in Kurdistan.